This activity produced a groundswell of interest in, and requests for coaching which the organisation was unable to be able to rise to, given resources and internal capability. Coaching assignments were sporadic, largely uncontrolled and without focus. 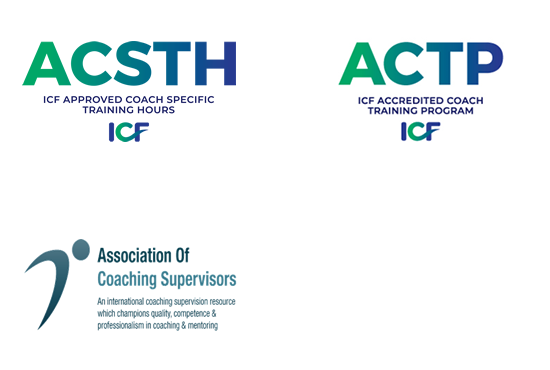 External coaches were being used in an unregulated way and with little attention being paid to any form of quality control, measurement of professional competence, and understanding of the organisation's operating environment, links to professional coaching bodies or adherence to any code of ethics. It became apparent that, a different approach was necessary to embed coaching into the culture of the organisation and to use it as a process for supporting sustainable change. We were invited to review the growth of coaching in the organisation, how it was being applied, how the outcomes were being measured and what needed to be done to ensure return on investment. •	developed an effective process for evaluating the outcomes of coaching. The HR Director took on the role of Coaching Champion on the Board of Executives. This role is designed to keep coaching on the business agenda and to ensure that coaching stays focussed on business drivers. The development and implementation of the coaching value chain was intended to ensure that coaching is the appropriate development intervention and that all parties to the coaching contract are fully aware of their roles, responsibilities and agreed outcomes for the work. A rigorous process was developed and implemented to quality assure the external coaches who are offered coaching assignments in the organisation. The process not only quality assures the external coaches but also regulates how they are used, how much they are paid and requires that they submit details of the professional association they are part of, the Code of Ethics they work to, details of their supervision arrangements and information on their professional indemnity insurance. A process for the selection of internal coaches was developed and implemented. A process for supervision of internal coaches was developed and implemented. We recognised that the role of the Internal Coach is a unique one which raises challenges not faced by external coaches. In this context we developed a Code of Ethics for internal coaches which was adopted by the organisation. Given that there was a need for an Ethics Code, it followed naturally that there had to be a procedure for dealing with ethics charges against internal coaches. This procedure was designed to protect the coach, the coachee, organisation and the integrity of the coaching process. The procedure is entirely separate to any disciplinary or grievance procedure currently in place. The reason the procedure has all of these stages is to allow for a full and fair process in dealing with complaints. It is designed to ensure that frivolous claims cannot be brought against coaches and that where there has been a breach of ethics that both parties have full opportunity to resolve the issue with the help of a third party. •	What information do the stakeholders want to know? •	What are the objectives in evaluating coaching initiatives? •	How will the evaluation results be used? •	Have the performance gaps been bridged? •	What are the most important things for the organisation to know about the coaching initiative? •	What level of support is available from stakeholders for evaluation? •	How much is the organisation prepared to spend (resources, time etc.,) on evaluation activities? •	Does the organisation have the internal capability and expertise to undertake the evaluation activities? Once these questions were answered we set about designing the evaluation process. We completed this project in 2007, at which time it was considered by the organisation and the professional coaching bodies as ground breaking work. Our client has presented at European Coaching Conferences on the approach they took with our guidance and have supported other public sector organisations in the development of a systemic approach to coaching. Since completing this project we have been commissioned by seven organisations to do similar work. Our Director, Sandra Wilson’s, work on the ethical dilemmas facing internal coaches is considered seminal and was first published in “Coaching at Work” in 2007.